Diary of a Frog and Diary of a Sea Lion are the latest in the ‘Diary of a…’ series from Scholastic. 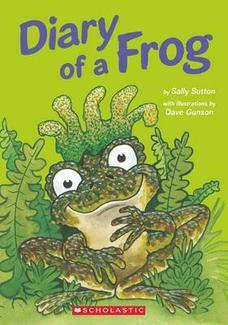 Sally Sutton and Dave Gunson introduce kids to the life of different animals through their entertaining and informative diaries. Thanks to Scholastic I have a copy of Diary of a Frog and Diary of a Sea Lion to give away. All you have to do to get in the draw is enter your name and email address in the form below. Competition closes Wednesday 10 July (NZ only). Thanks to everyone who entered. The winner is Brenda.